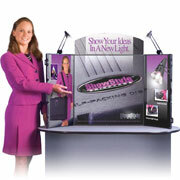 Select from six different categories of professional, trade show tabletop displays. If you have any questions about choosing the right tabletop display for your marketing needs please call us toll free at 1-855-536-3385 or contact us by email. A tabletop display that folds into a conveniently carried briefcase, designed for frequent travel and effortless set up. Signage designed for display on a counter or table top. Ideal for trade show table or point of sale marketing. 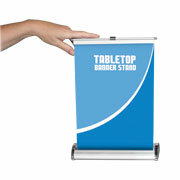 Portable display boards that fold easily for storage and transport. Each brand offers a selection of popular sizes, colors and ready-to-go graphic packages. 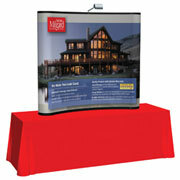 Smooth, stretched fabric graphics shaped by a lightweight frame; sized and designed to display on a tabletop. All the convenience of a pop up booth, sized down to a tabletop display. 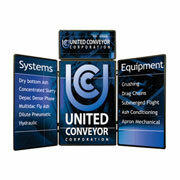 Ideal for trade shows or retail areas.